Table in main room - location TBD depending on arrival time. Minimum may be higher if party is more than 4 males. Table in main room - location TBD depending on arrival time. Minimum may be higher if party is more than 5 males. Table in main room closer to dance floor / DJ - location TBD depending on arrival time. Minimum may be higher if party is more than 5 males. Prime table in main room next to DJ - location TBD depending on arrival time. Minimum may be higher if party is more than 10 males. 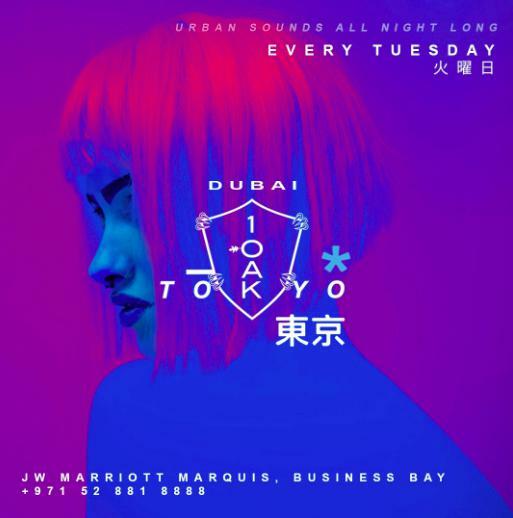 Urban music vibes + drinks for ladies all night long – every Tuesday at 1Oak! 1 OAK , born of the namesake catch phrase, “1 of a kind” is boasting a rotation of world-renowned DJs and surprise performances, a captivating interior and a stellar standard of service, 1 OAK provides a nightlife sensibility that caters to even the worldliest of partygoers. 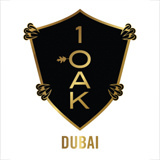 Bringing a New York nightlife experience to Dubai, 1 OAK has already made a strong impression on club-goers around the world. 1 OAK brings a unique combination of art, fashion, and celebrity status to the nightclub world. Hip Hop and RnB music has a new home in Dubai. Experience located in JW Marriott Marquis Hotel nightclub that is taking the city by storm!